Already listed with our Phuket pearl shops directory? Pearls, a symbol of affluence and a perfection of purity presents the opportunity to acquire the most a charming of an exotic experience of Phuket pearls. Perfect design is available on Phuket Island which known as "Pearl of Andaman". 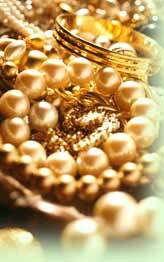 Pearls products invite to clientele to pearls shops to see a whole products of pearls.